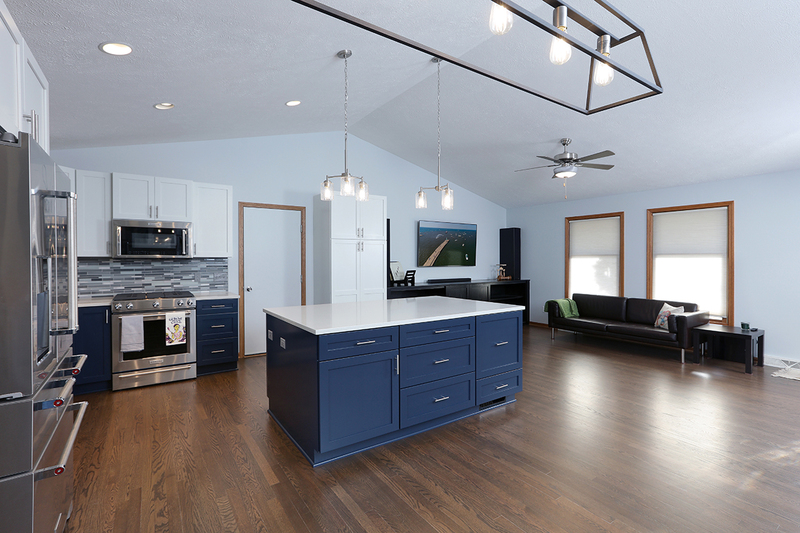 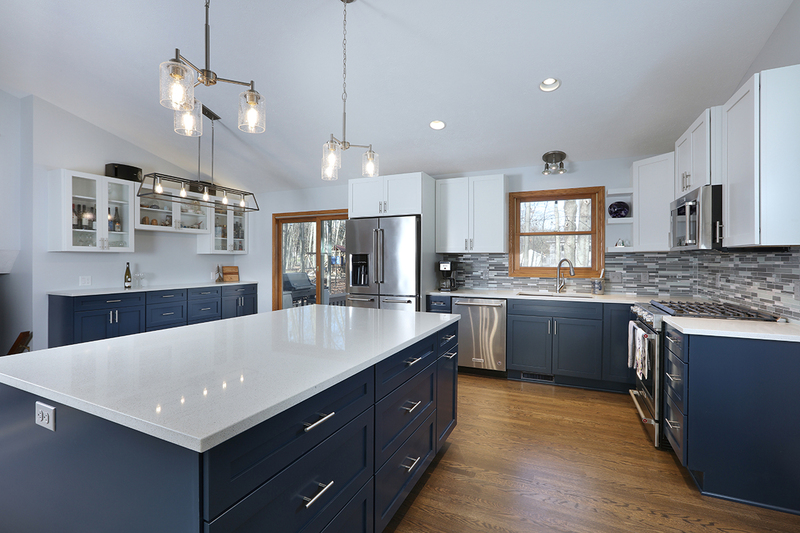 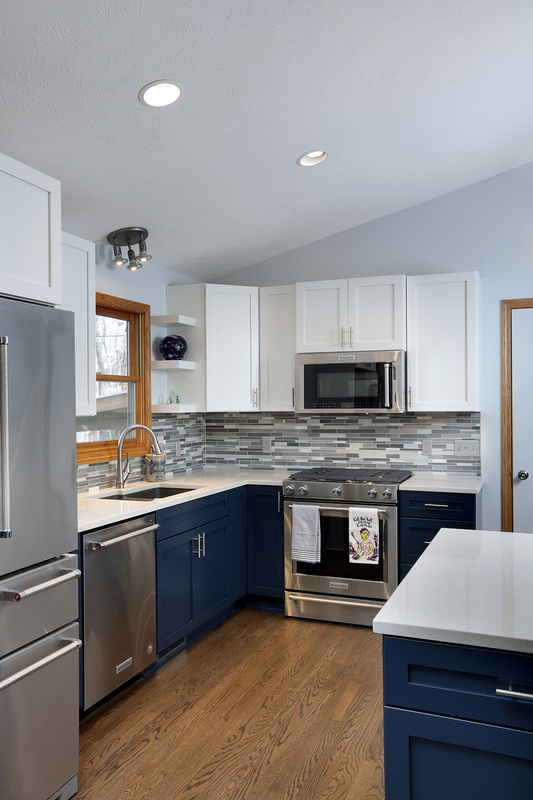 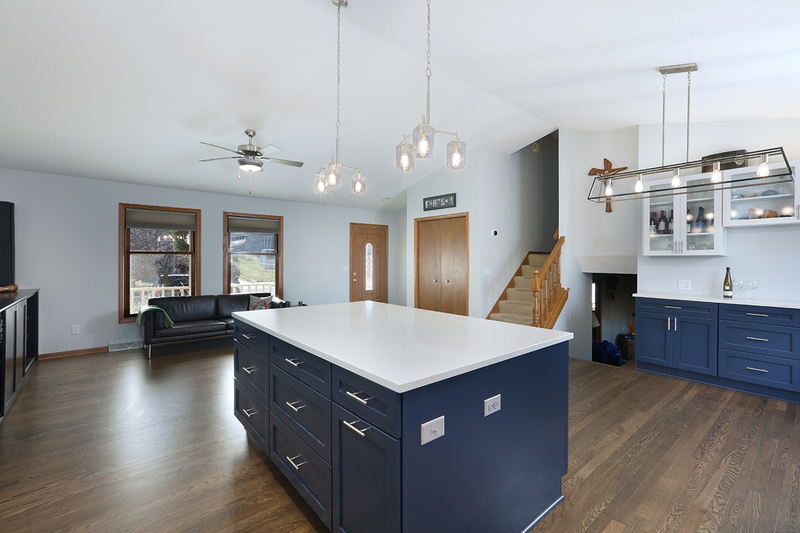 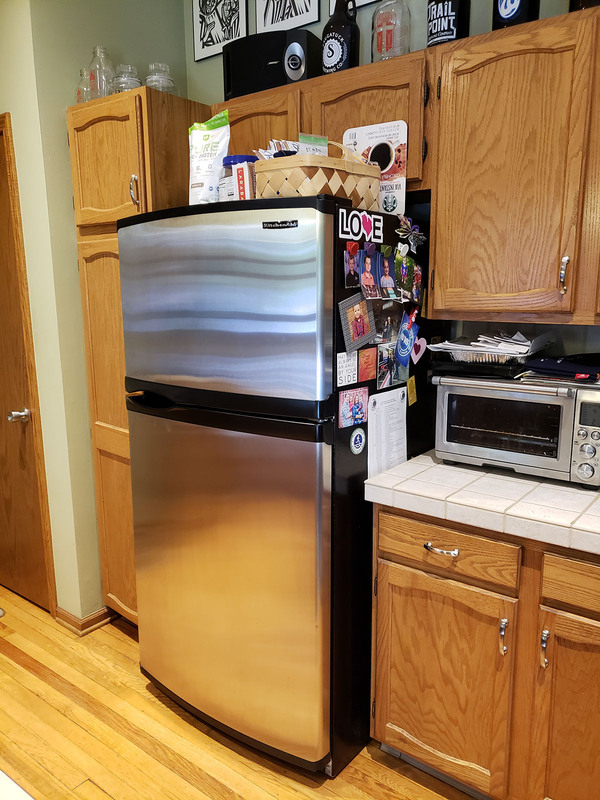 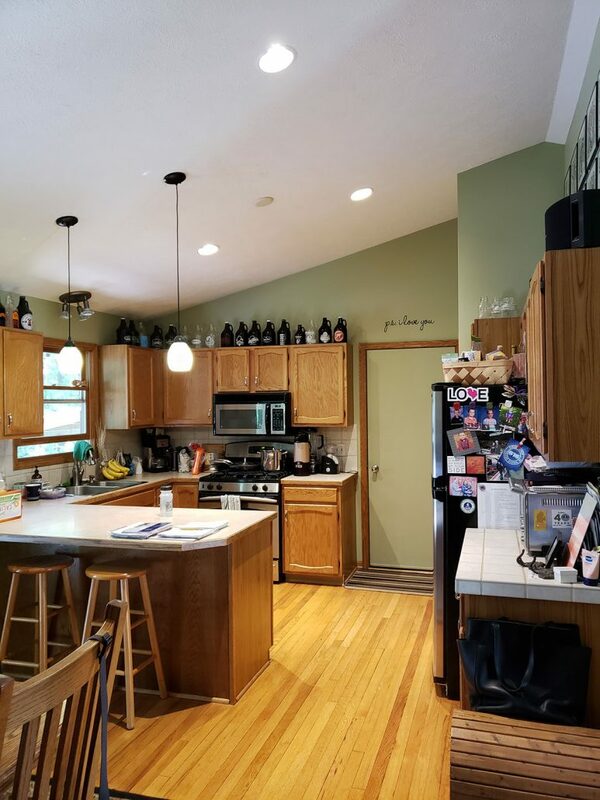 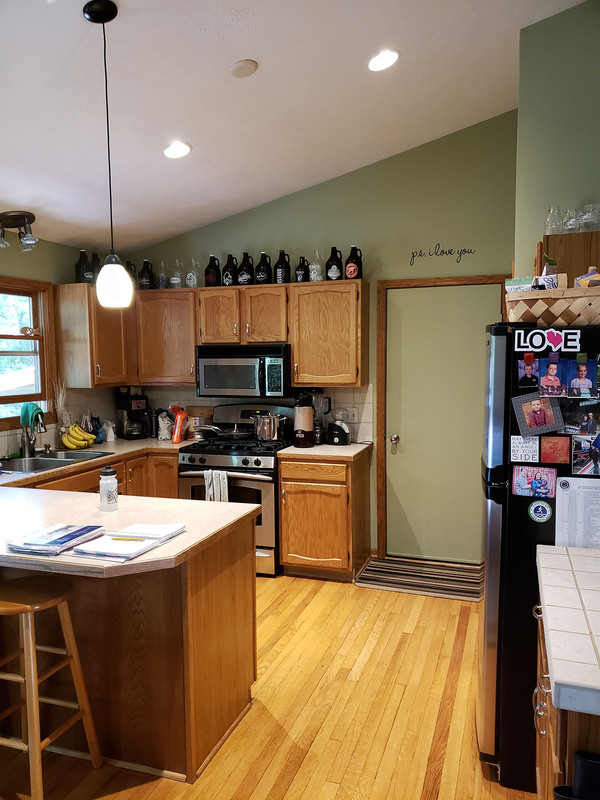 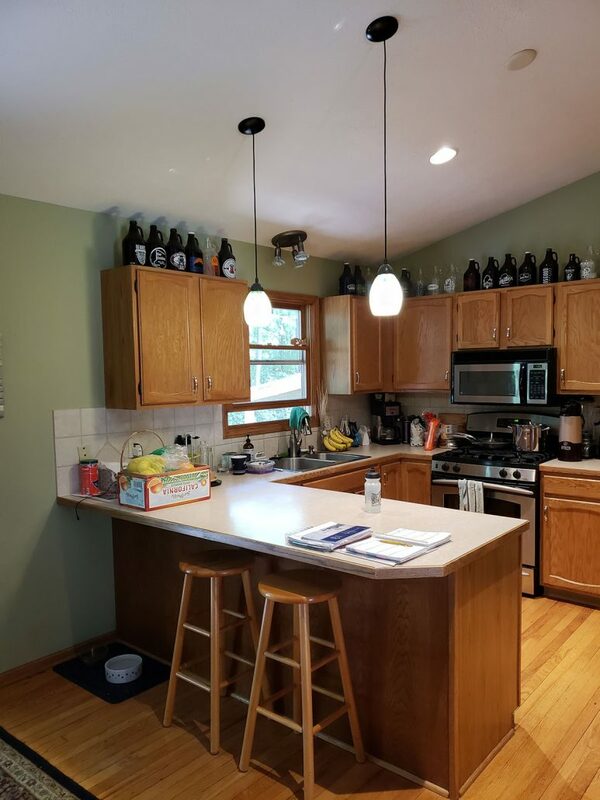 Comstock Park Kitchen Remodel – Morris Builder's Inc.
Main floor remodel focusing on kitchen. 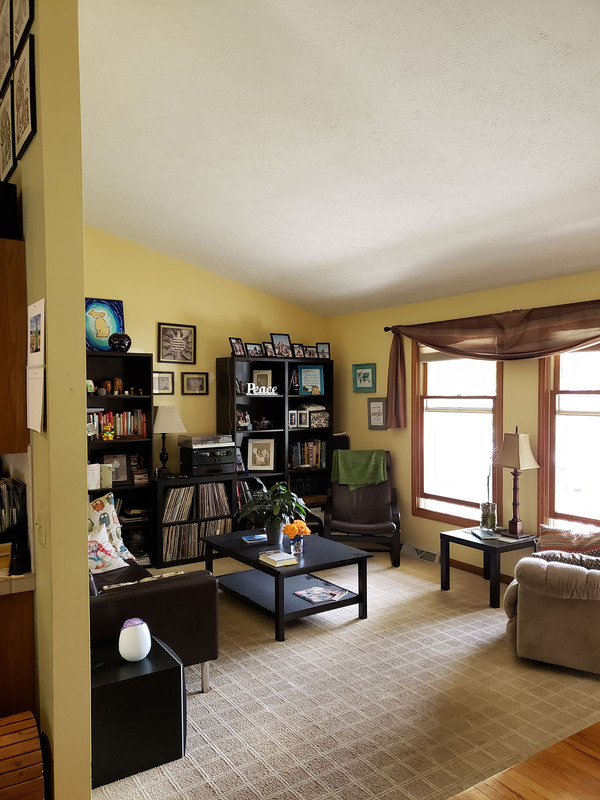 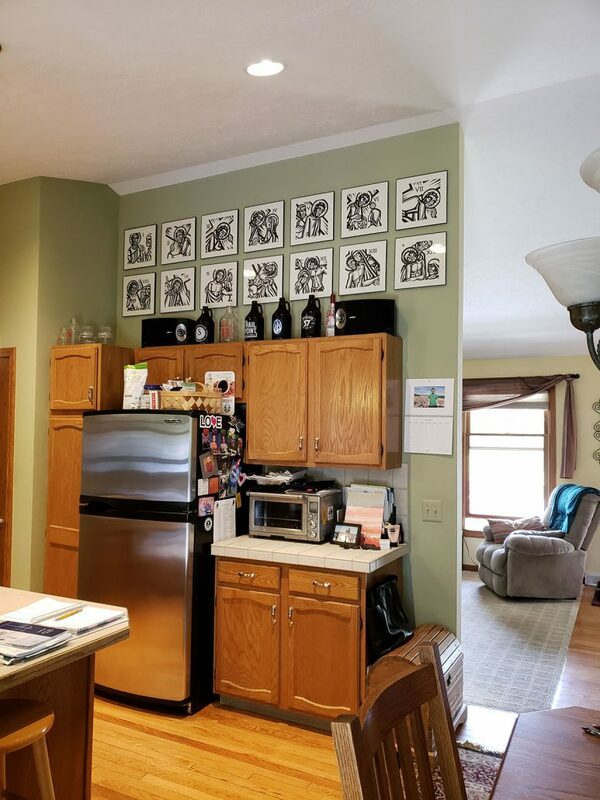 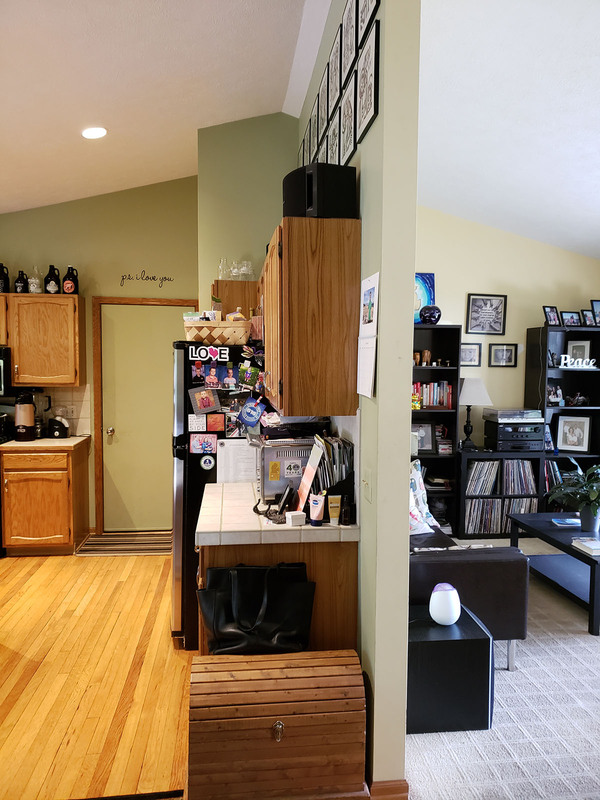 Remove wall between kitchen and living. 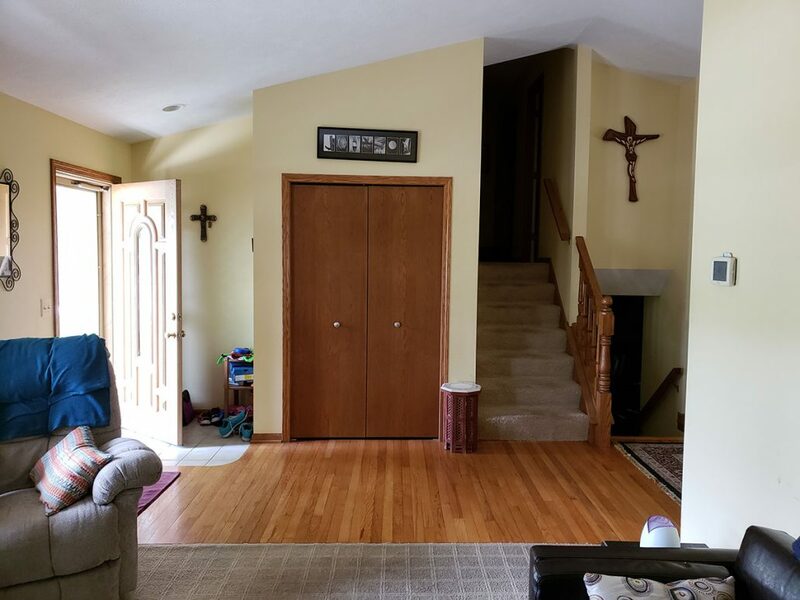 Fill in and match hardwood flooring on main floor. New custom kitchen cabinets with double sided working island, quartz tops and backsplash. 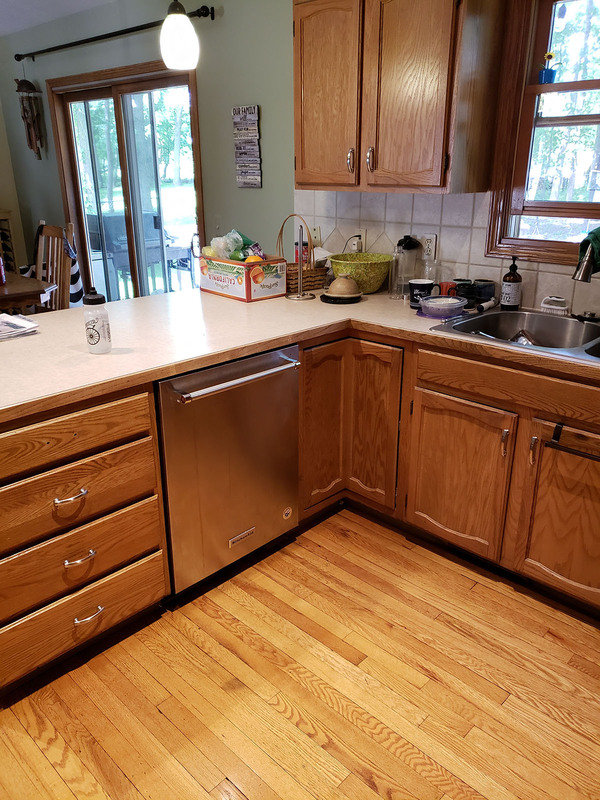 New buffet cabinets in dining area. 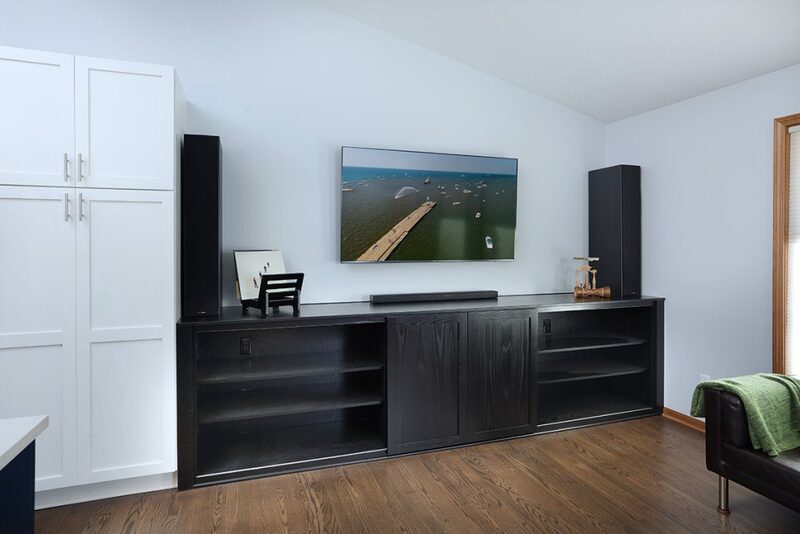 New custom entertainment center in living with mini sliding barn doors. 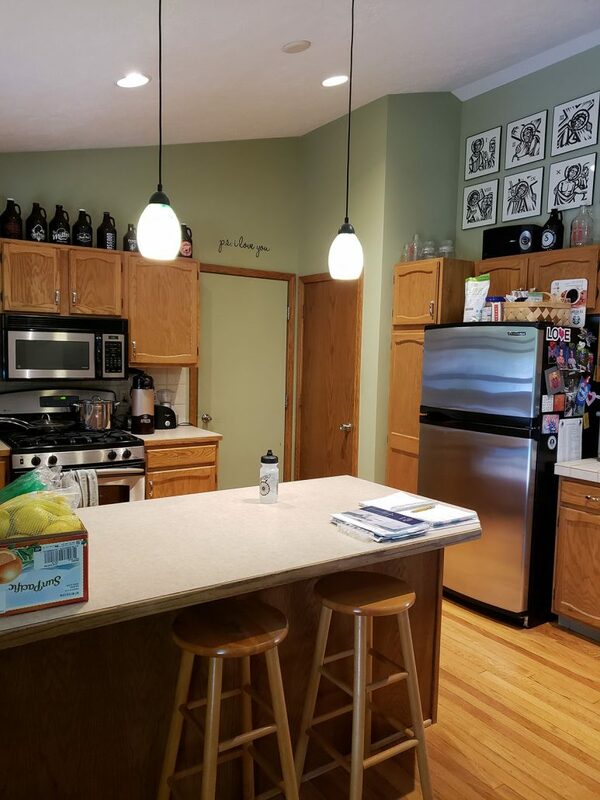 New lighting throughout.